NEW !!! Special U.S. Shipping Services. Only for USA Customers. 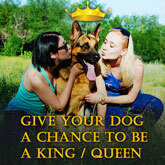 Dear dog owner, we are sure that everyday walking and training with your pet brings a lot of pleasure to you. If you live in a big city, you aren’t the only one who is walking with the pet. 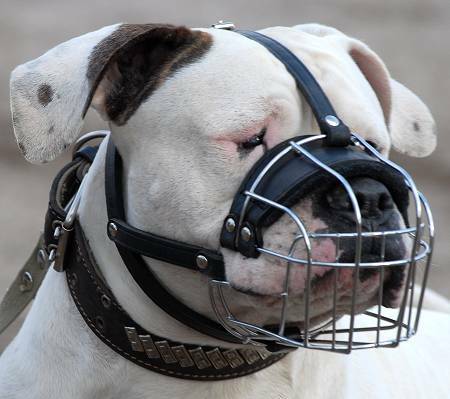 We don’t say that your dog is aggressive or unfriendly to other pets. 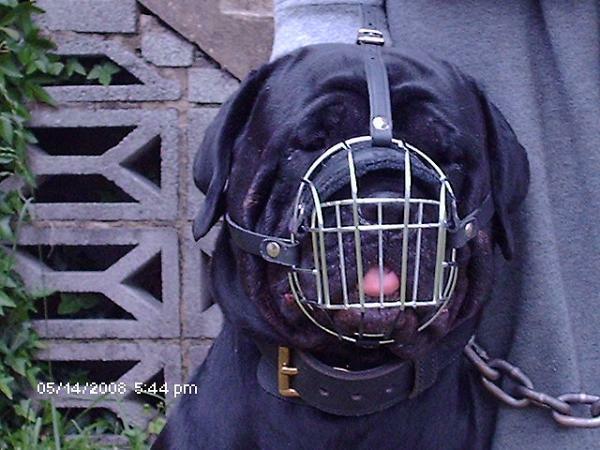 But, isn’t it wise to have Firm Wire Cage Muzzle in case some unexpected situation occur? People differ in character. 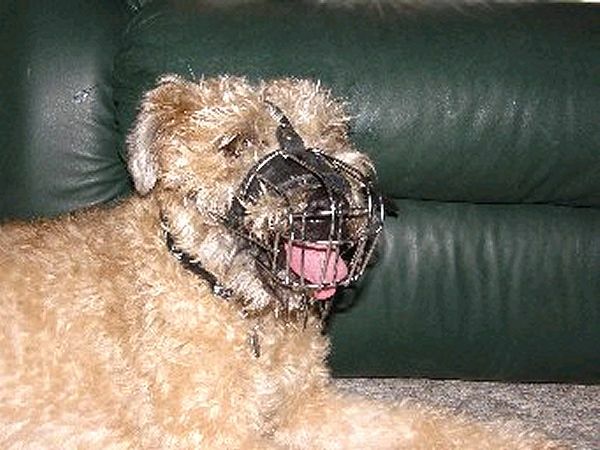 And the owners of other pets may be dissatisfied with the behaviour of your dog. We want to help you to avoid the problems of the kind and save your nerves and time. 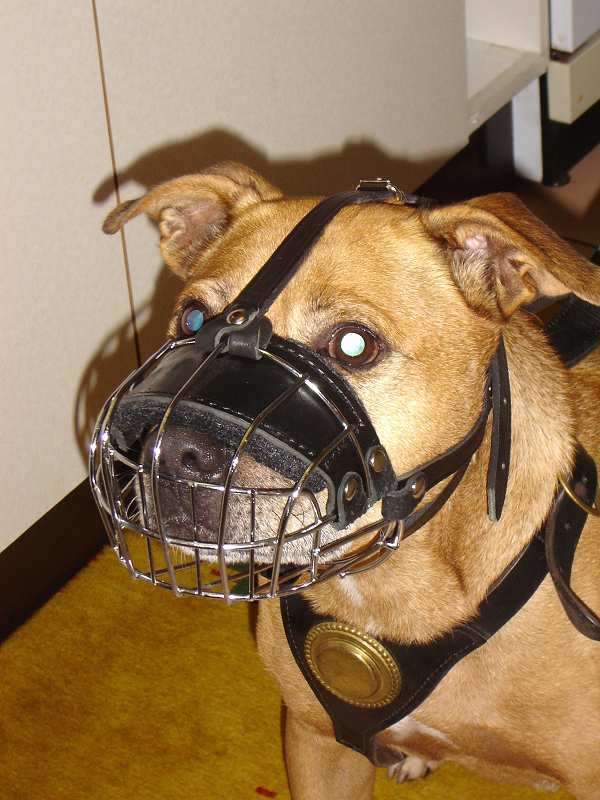 The Wire Basket Dog Muzzle, we present, is reliably fixed on your dog’s snout and it’s almost impossible for the pet to dislodge it with his paws. 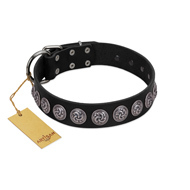 We also care about your dog’s comfort and health thus it has adjustable leather straps that make the product fit your dog's head size well. 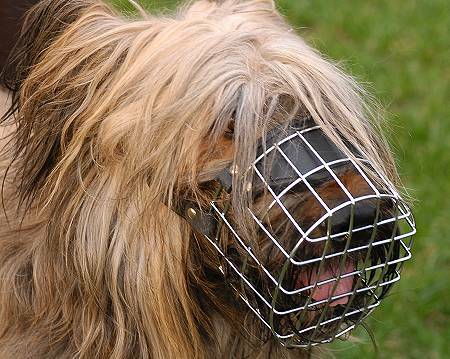 Please, read the information below to discover more useful features of this Wire Basket Dog Muzzle. 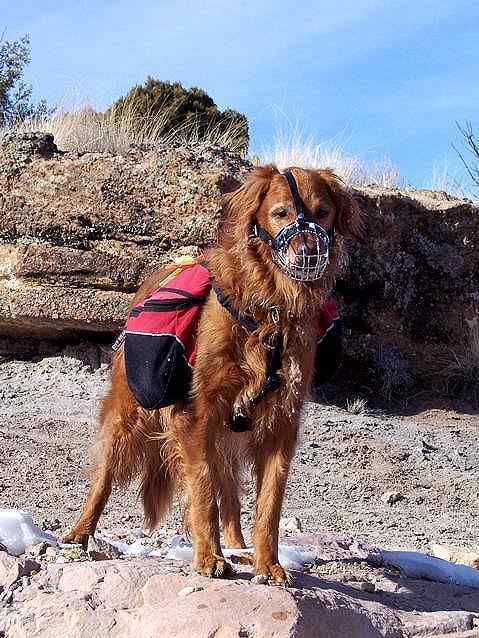 No matter what equipment you put on the dog, we are 100% sure that it should be comfortable. 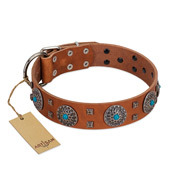 Anything that irritates your dog’s skin or restrains him too much is inappropriate. That’s why every item of equipment, we produce is comfy for the pet. 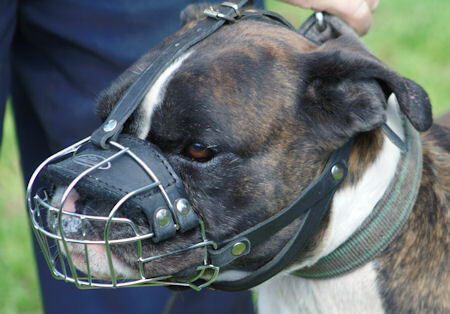 We padded the nose part of this Wire Muzzle to prevent rubbing of the dog’s skin. 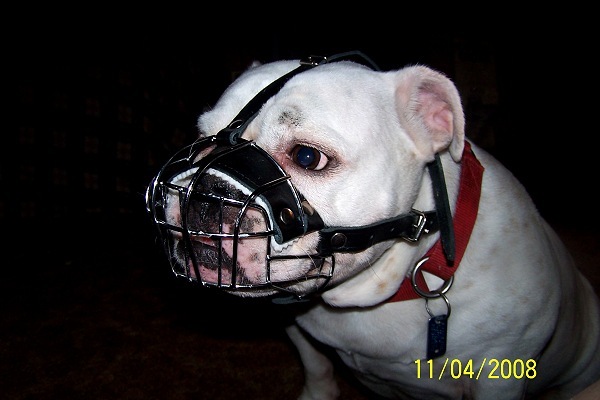 Besides, your dog won’t have problems with breathing, when wearing this Muzzle, because the wire cage allows the air flow to have easy access to the dog’s snout. 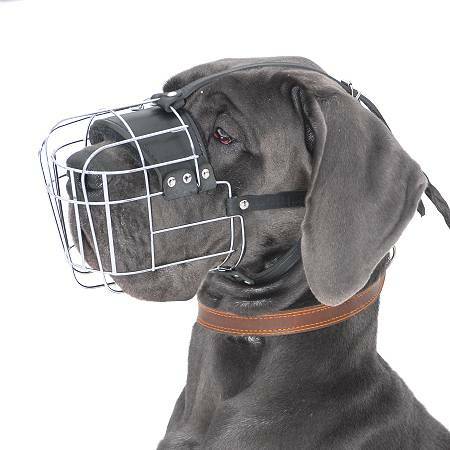 Like all other walking and dog training muzzles, this one is made on the basis of firm metallic construction. The wire is smooth and resistant to corrosion. 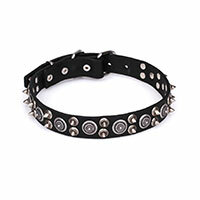 The straps are made of quality leather, they are non-stretch and strong. 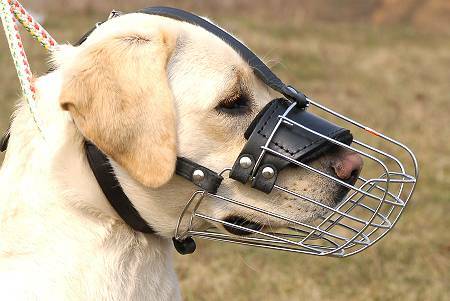 Due to it, this Wire Cage Muzzle will be a perfect Muzzle for everyday walking, dog training and many other activities with your sweet dog. 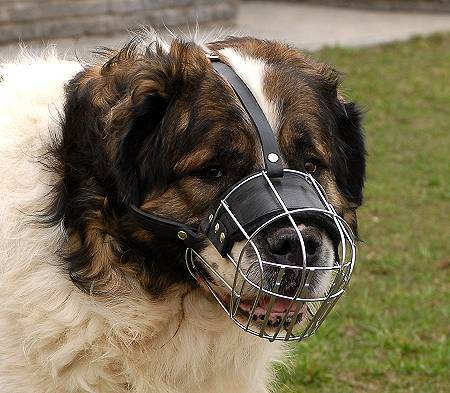 This Muzzle prevents your dog from picking up and eating trash and other unnecessary or poisonous things. 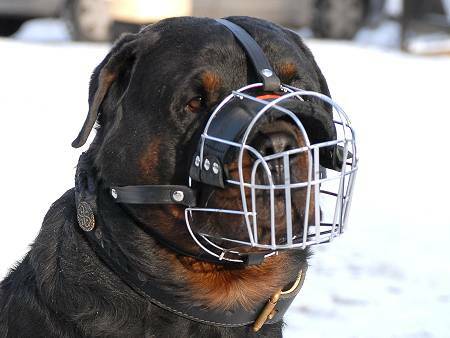 It’s very convenient, especially if you dog walks off-leash and you have to be sure he won’t eat something dangerous for his health. 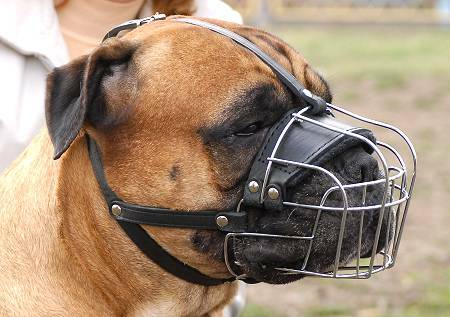 Additional InformationCheck our dog muzzle / dog muzzles selection Nicole Stokes, Australia Date added review: 27/09/2014 Hi, Just writing to say thankyou very much for the m4light muzzle and the Nylon Better Control Multi purpose Harness that arrived yesterday. The quality and design of both is superb! My white german shepherd Sailor is currently undergoing a counter conditioning training program to help her overcome fear aggression caused by lack of socialisation as a puppy. This harness is fantastic and already she is not pulling hard anymore on walks as I can attach her lead to the ring on her chest. She is so relaxed wearing it. 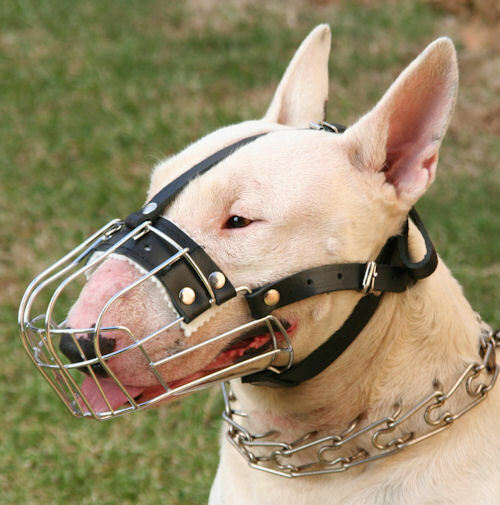 The muzzle looks very professional and is very safe and secure. 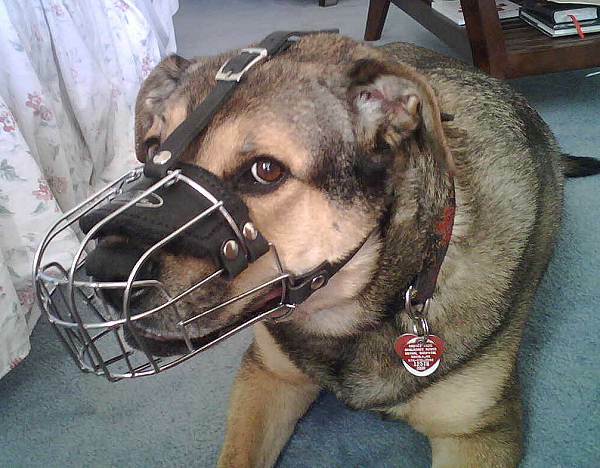 She cannot paw it off and she finds it much more comfortable to wear compared to plastic basket muzzles and nylon mesh muzzles. It does not distract from her beauty and looks great. I can now take her out in the world with confidence that people and other animals are safe whilst training her. Also its great because I can still feed her small treats thru it. Cheers! Extremly happy with this muzzle. Arrived just a week after ordering and fit perfectly on my dog with room to give and take. 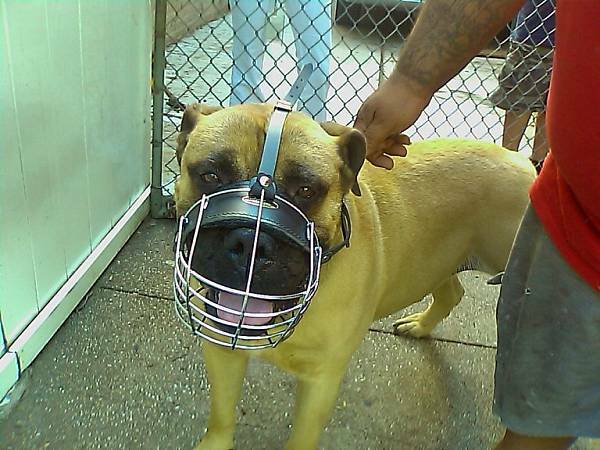 My dog was also extremley happy and comfortable with this muzzle and took to it straight away with no problems. He can drink, pant, and take small treats. 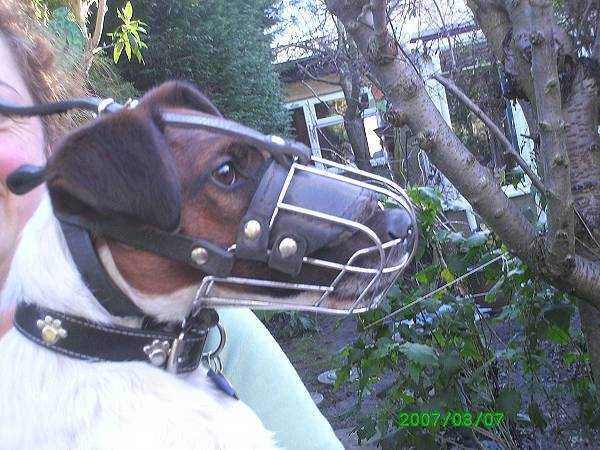 Best muzzle I have owned, would definately recommend and will be a returning customer. 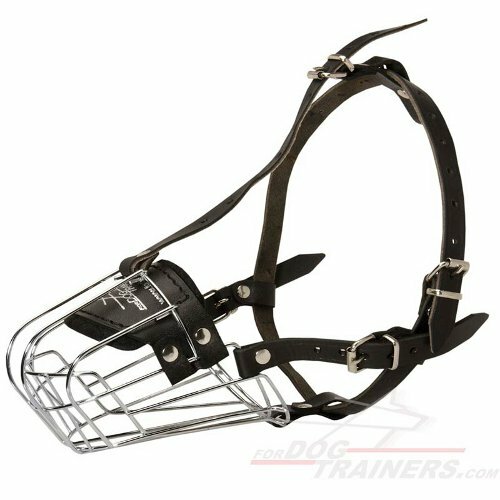 This muzzle is great, very durable, and all the straps are adjustable. The M4light will not fall off my dog making it extremely safe for training. 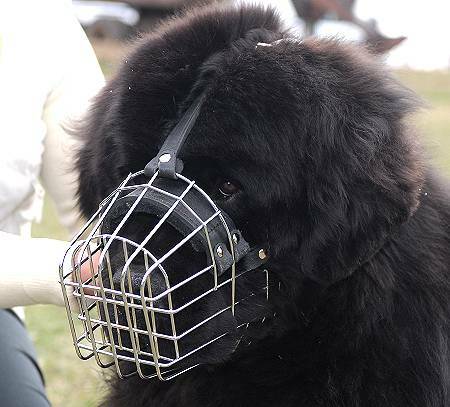 The padding makes it more comfortable for her to wear as the metal basket does not touch or pinch her nose. 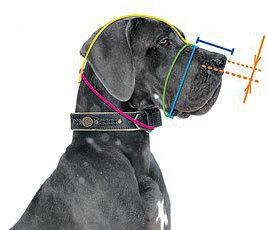 The only thing is I should have measured the circumference with my dogs mouth more open which would allow her to fully pant and drink with the muzzle on. 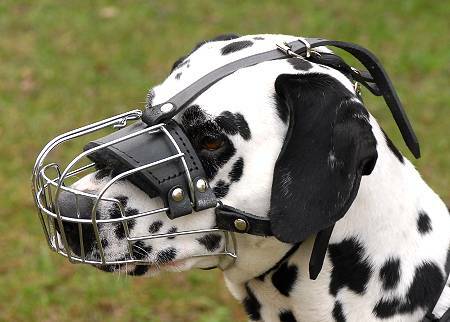 I would recommend this muzzle to anyone and I am very happy. For express shipping to Canada it will take 6-7 business days.